If you could use a 3D food printer to make any meal, what would it be? What kinds of ingredients would it contain? 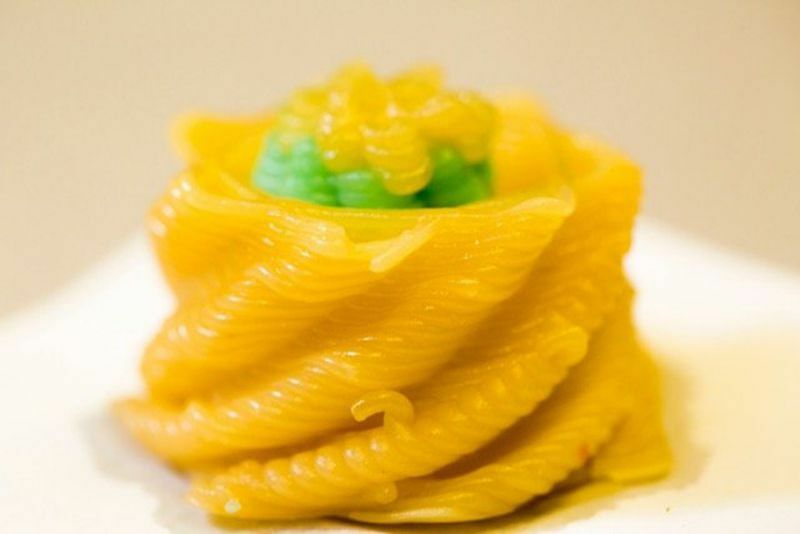 What do you think would be the biggest advantage of using a 3D food printer? What, if any, disadvantages can you think of? How do you think the food industry-including farms, manufacturers, grocery stores and restaurants-would change if 3D food printing became common practice? In the article, Hod Lipson, who led the creation of the new 3D food printer, identified two main ways consumers could use this invention. It could serve as a specialty appliance to cook novel foods. Or, it could be used to create customized meals that meet individual health needs. In what other ways do you think a machine like this could be helpful to people? Help students explore the impact of food on American history, discover local food traditions and look at the way food is advertised with this site from the Smithsonian Institution Traveling Exhibition Service. Among the site’s many resources is a teaching guide with five engaging lessons. In this teacher-created lesson from the Cooper-Hewitt, Smithsonian Design Museum, students analyze the “food system” in their community. They look for solutions to any ecological or social problems inherent in the system. Food historian Abigail Carroll traces the evolution of American eating from colonial times to present-day. Read all about it in this Smithsonian article. This online exhibit from the National Museum of American History is about Julia Child and her profound effect on American popular culture, cooking and broadcast television. Read this Smithsonian article for a look into the era when the cereal mascots were more than just Snap!, Crackle! and Pop! Read this Smithsonian article to meet the woman dedicated to preserving traditional Mexican cuisine.